A stunning Solid Oak Table, this piece by Acorn is an incredible addition to any Dining or Living room. Extendable, this piece can blend in with a design or become the centrepiece to a room. The table is Solid Oak; durable and robust, so no need to worry about moving it. 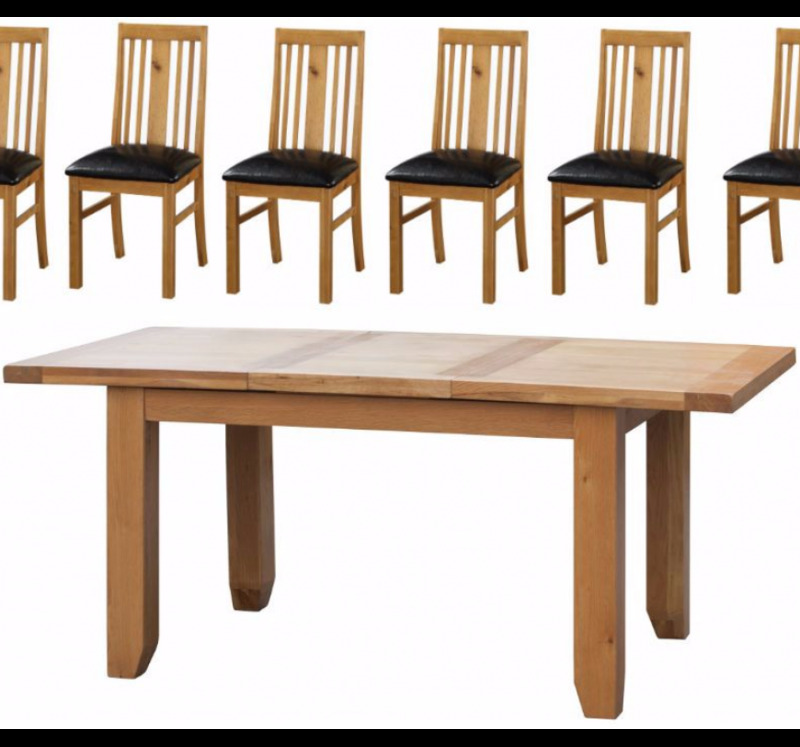 Complete with six Acorn Solid Oak Chairs, this set has a rustic beauty that sets it apart. The table is also available separately if you only need a beautiful wooden table.